Modern private apartments, usually for 1-4 persons. 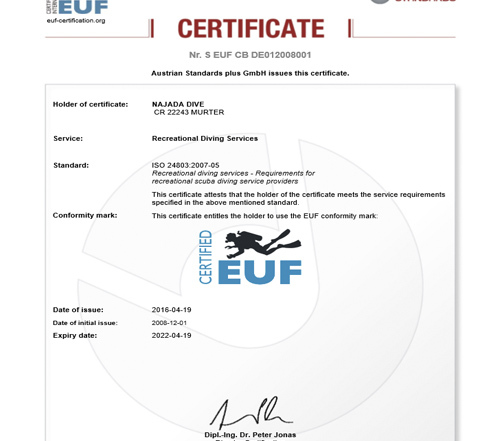 Most apartment houses are with self-catering, but there is also a possibility to order breakfast (extra charge) in some houses. All apartments have a well-equipped kitchen, bathroom with shower or bath tub, a toilet, mostly a balcony or a terasse. There are parking places in the courtyard or in front of the house. Included in the price: cleaning after departure, towels and linen, electricity, gas, water, cutlery…There is a tourist tax of about 1 EUR / day / person to be paid extra. All apartments are between 5-20 minutes walking distance from the two biggest beaches in Murter and the dive center. In the case of apartments we act mostly only as mediator. We want to draw your attention to the fact, that apartment reservations are simple rent contracts, where a cancellation is not foreseen. If you do not use your apartment, you are in any case obliged to pay the full price, unless a replacement guest for the accommodation is found. There are three apartments above the dive base, about 500m from Restaurant Mate. You have a wonderful view to the sea from the main terrace. Very quiet, the compressors are outsourced. The 4-person-apartment has two bed rooms, a big kitchen, bathroom and toilet .The two-person-apartments have one bed room and a combined kitchen/living room. There is one studio (all in one) with garden view in the second part of the house. Wifi and a/c are included into the price, as well as usage of the beach in front. Parking is in front of the house. The comfortable apartment house is next to the dive center. Three 2-person-apartments are facing the see and two flats have a garden view. In all apartments there is a kitchen, sat-tv, parking and a/c (surcharge). The guests can use the private beach complimentary. In four partments one can put in an extra bed (surcharge). 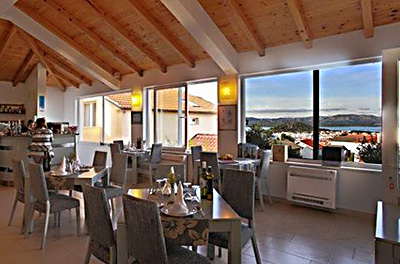 The comfortable 4-person-apartment is directly at the seaside, next to Restaurant Mate. There is a perfect view overlooking Luke beach. The apartment has is a kitchen combined to a spaceous living-room, sat-tv, parking, wifi and a/c. There is a possibility of putting in an extra bed (surcharge). The area is quiet, about 8 minutes walking distance from the dive center. 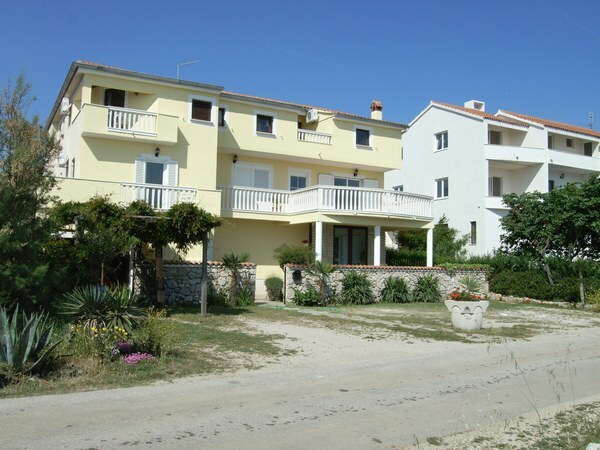 In these apartments – managed by a friendly family – you can book accomodation with or without breakfast. You can choose between 5 apartments with two bed rooms each. All apartments have a kitchen and living room, balcony, shower, toilet, parking a/c and wifi. There is a possibility to add an extra bed (surcharge) and to use the grill in the garden/covered guest area (surcharge). The area is quiet, about 8 minutes walking distance from the dive center. 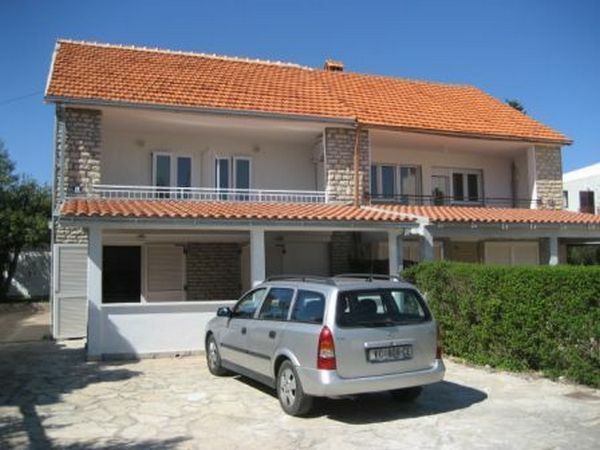 This apartment house is located on a hill, offering a beautiful view toward the Kornati. You can choose between one 4-person-apartment and two 2-person-apartments. All apartments have a kitchen and living room, balcony, shower, toilet, parking a/c and wifi. 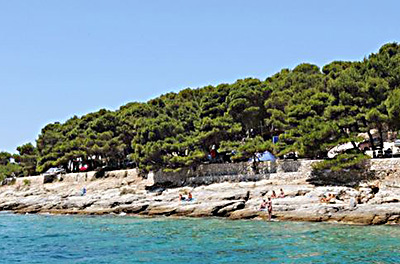 The area is very quiet, about 15 minutes walking distance from the dive center and 5 minutes to Slanica Beach. This object is a fabulous wellnes oasis. You can choose between one 8-person-apartment and two 2-4-person-apartments. All apartments have a kitchen and living room, balcony, shower, toilet, parking, a/c and wifi. There is a big pool with a jacuzzi in the garden. The parking is in the courtyard. The guests have the possibility to organize grilling in the garden (extra arrangement). The area is very quiet, about 3 minutes walking distance from the dive center and 5 minutes to Podvrske Beach. 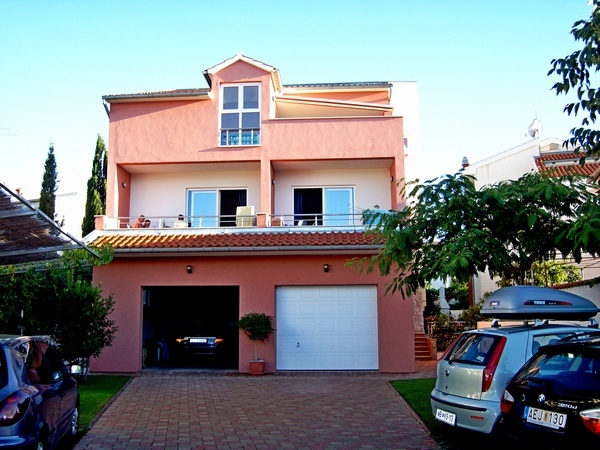 Both luxury villas are the first 5-Star Apartments in Murter. 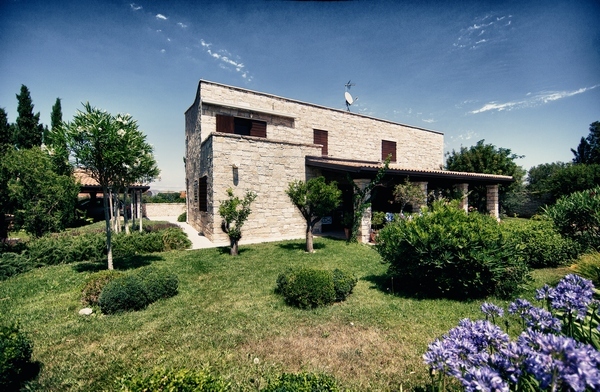 The houses are a mixture of open space, comfort and modern architecture. In “Dreams” you can choose between one bigger 4-person-apartment and two 2-4-person apartments and in “Art” you have two 2-4-person apartments All apartments have a kitchen and living room, balcony or french balcony, shower, toilet, safe, parking, a/c and wifi. There is a pool and a beautiful seaview toward Kornati . The parking is in front. 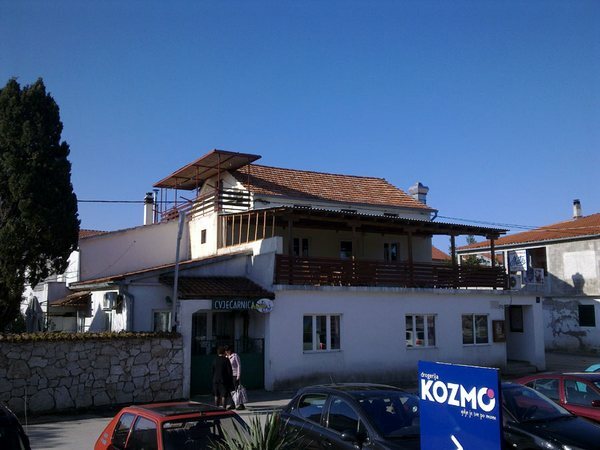 The area is very quiet, about 15 minutes walking distance from the dive center and 5 minutes to Slanica Beach. 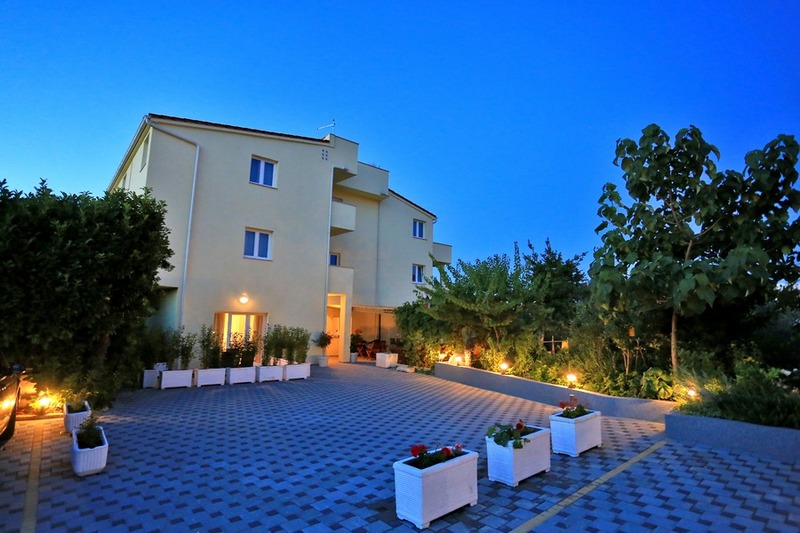 The Hotel is located on the hill of Raduč, offering an impressive view of the village of Murter, Betina, Tisno, the Velebit mountain, the surrounding islands, islets and cliffs, as well as the nearby harbour. The family-owned hotel is a cosy place with great Dalmatian food, wonderful atmosphere and shows a good example of true Dalmatian hospitality. Hotel Murter offers a Health & Spine Lifting program and guests can also enjoy spending time at the Nado Health Center. The location is very quiet, about 15 min. walking distance to the dive center. 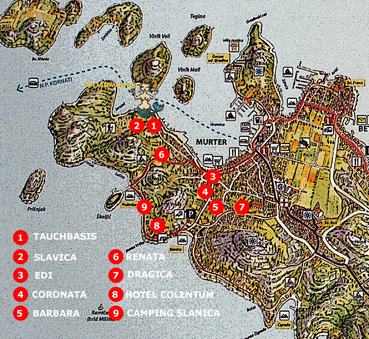 Mini Camp Lasatka is about 15 minutes walking distance from the dive center and Slanica about 20 minutes. Please, send a mail for a detailed offer directly to the camping places. 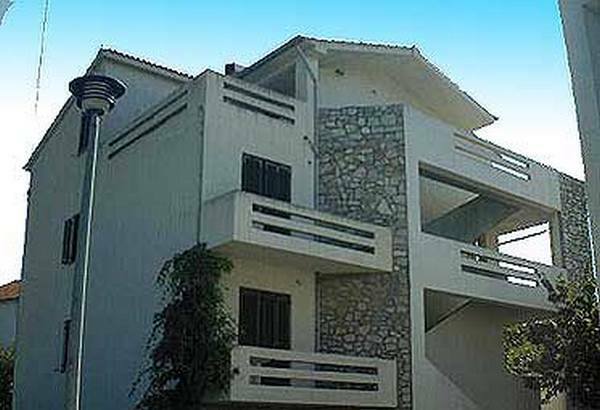 In these modern and very comfortable apartments you can book accomodation with or without breakfast. You can choose between 7 apartments, each for 2-4 persons. All apartments have one bedroom, a kitchen and living room combined, balcony, bathroom, parking, safe, a/c and wifi. There is a an extra bed (double) in each apartment and a Jacuzzi on the roof. Besides breakfast, it is possible to use the grill in the garden/covered guest area, as well as the laundry service (all with surcharge). The area is quiet, about 5 minutes walking distance from the dive center.